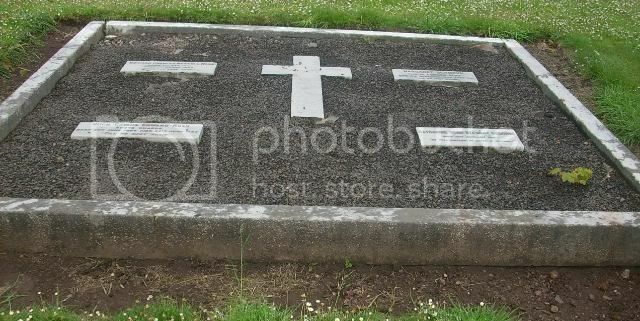 Sacred to the memory of Major R F K Money (late Royal Scots) born 22nd July 1851, died at North Berwick 22nd March 1903. Top left: Edward Charles Russel Ross born 1st Feb 1841, died 1st March 1896. Bottom Left: Hugh Cairns Edward Ross, Scots Guards born 23rd June 1884, died 23rd June 1940. Top right: Margaret Seymour wife of Edward Ross died 8th Dec 1925 aged 85 years. Bottom right: Catherine Shaw Stewart Osborne died 15th Jan 1901. 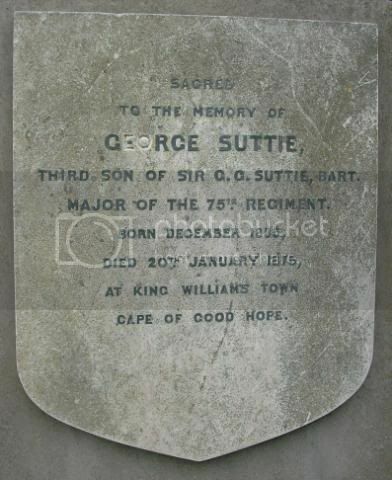 Sacred to the memory of George Suttie 3rd son of Sir G G Suttie, Bart Major of the 75th Regiment, born Dec 1835 died 20th Jan 1875 at King William’s Town, Cape of Good Hope. 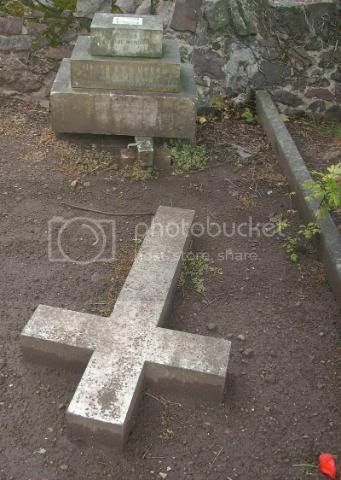 That completes the North Berwick Old Cemetery, unless any of the stones which are toppled over have any relevant information, and only time will tell. I will pop back periodically to see if there is anything new. The 75th Regiment which Major George Suttie served in was just about to leave Capetown for Ireland when he died.